India Value Invest: Voltamp Transformer - A value play? Voltamp Transformer - A value play? Voltamp Transformers was incorporated in the year 1967 in Vadodara. 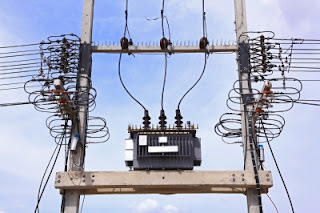 The company is in the business of manufacturing power and distribution transformers. The average ROCE over the last ten years is over 40%. The number has fallen lately to 12%. The company at the end of FY12 did not have any long term debt and the net current assets amounted to 230.43 crore. The company also has investments worth INR 109.85 crore. So the total net current assets + investments amounted to INR 340.28 crore compared to its current market capitalization of INR 379.34 crore. That means the running business is being sold for INR 40 crore which has generated cash flow of INR 238 crore over the last seven years. But the cash flow from operations has turned negative in the last year and was negative in the year 2006 too when the company got listed. The company came out with its IPO in 2006 with a price band of INR 295-345, while the current market price of INR 375 is just 10% higher than the IPO price in 2006. Promoter shareholding has increased from 46.05% in the last quarter to 46.87% in the March 2013 quarter. The promoters have bought shares at prices higher than the current market price which gives confidence to buy at the current price but remember that only 0.82% in the last quarter was bought at price higher than the current. The rest of the 46% is at a very low price. Many mutual funds bought the shares during the boom of power sector as can be seen in the bulk deals at moneycontrol. Reliance bought the shares at INR 618 in 2006 and sold in 2011 at price between 490-530, 10% loss in five years. The book value of the company is INR 390 so the share at the current market price of INR 375 is trading below book value and almost near to its net current assets. The company itself admits in its annual report that the whole industry is having a problem of over-capacity and the same is reflected in rise in the company's receivables and inventory. Unless there is a blood-bath in prices which leads to losses, the shares can be bought at the current price. Will you see growth with voltamp very impressive? what is your strategy in this share? Last 4 years their top line is very stagnat. I am a value investor and we don't look at future growth. Many companies had stagnant topline for 5 years and then saw tremendous growth later but a value investor like me buys based on assets on the books etc... which are higher than the price of the share.